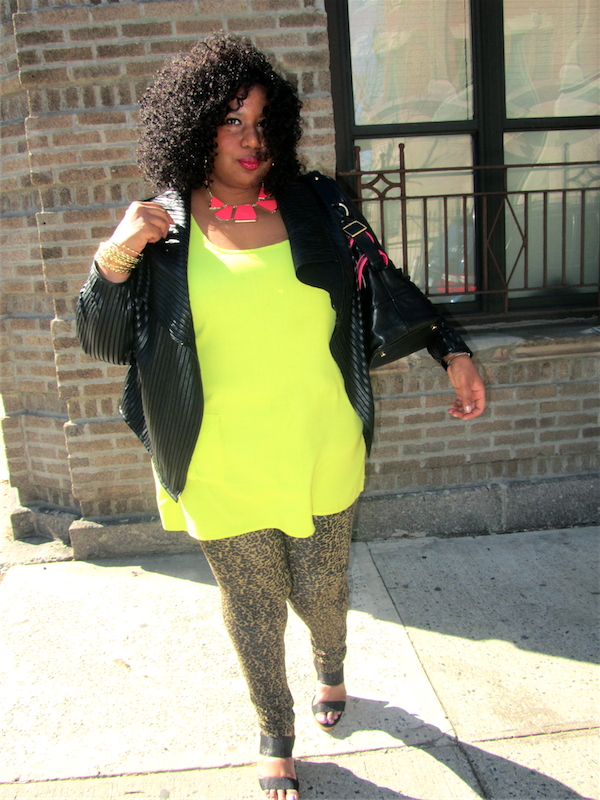 As I think about this outfit, it sort of makes me giggle. 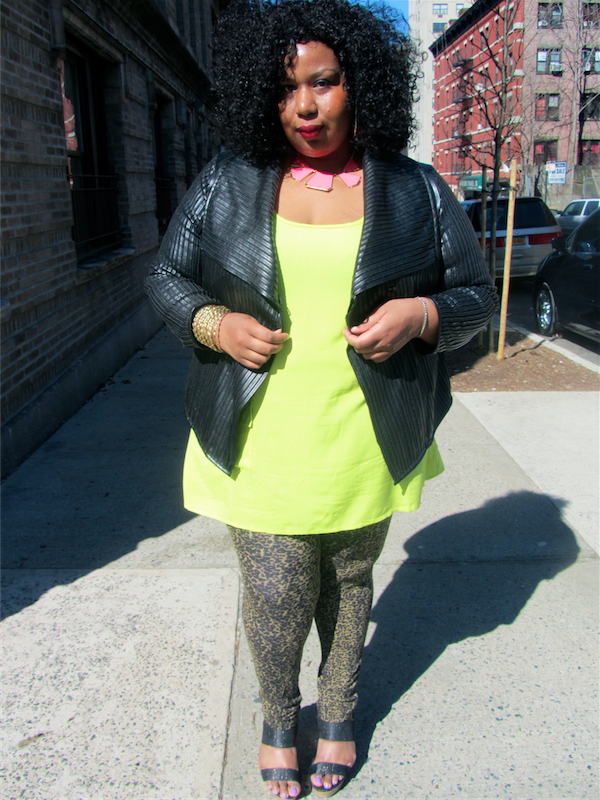 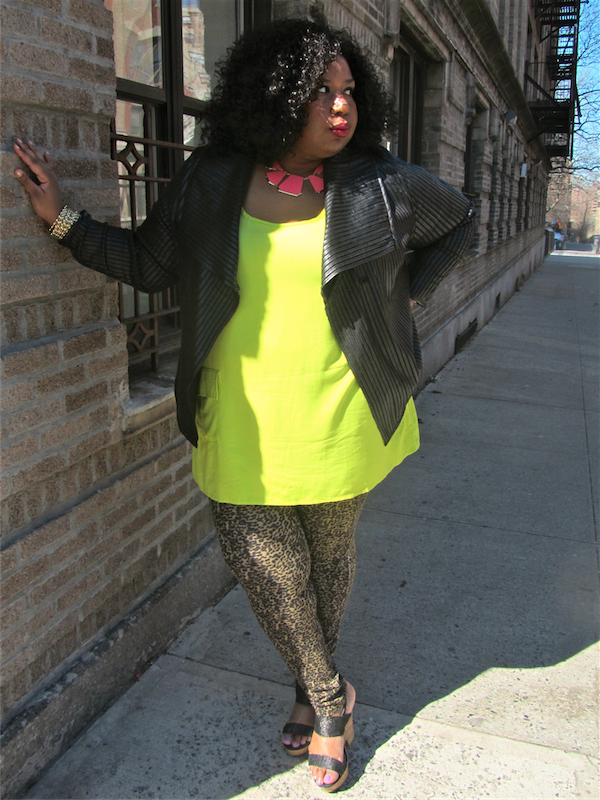 At the top of fall 2011, I declared my undying love for neon, leo print and black leather. 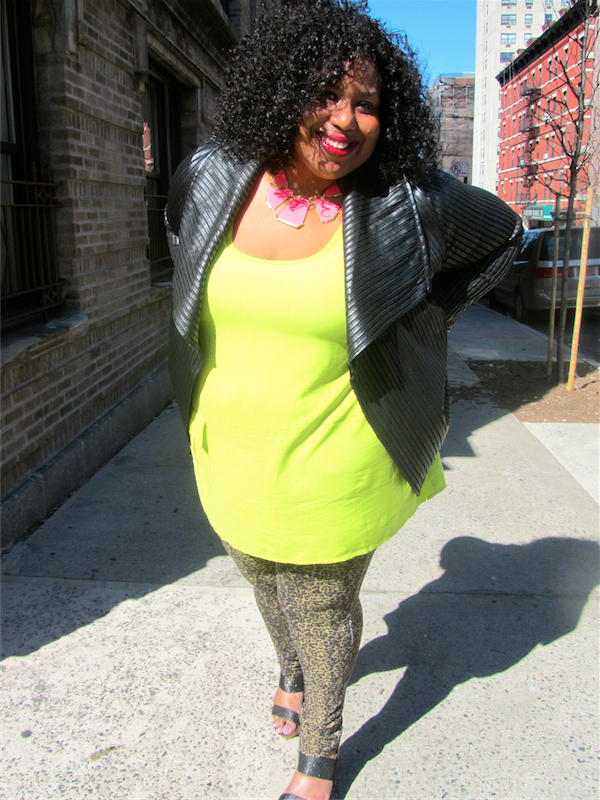 Though I'm already obsessed with many of the new spring trends, only until I uploaded these pictures to this post did I even notice that I'm wearing all of my loves together again in this nearly spring outfit. 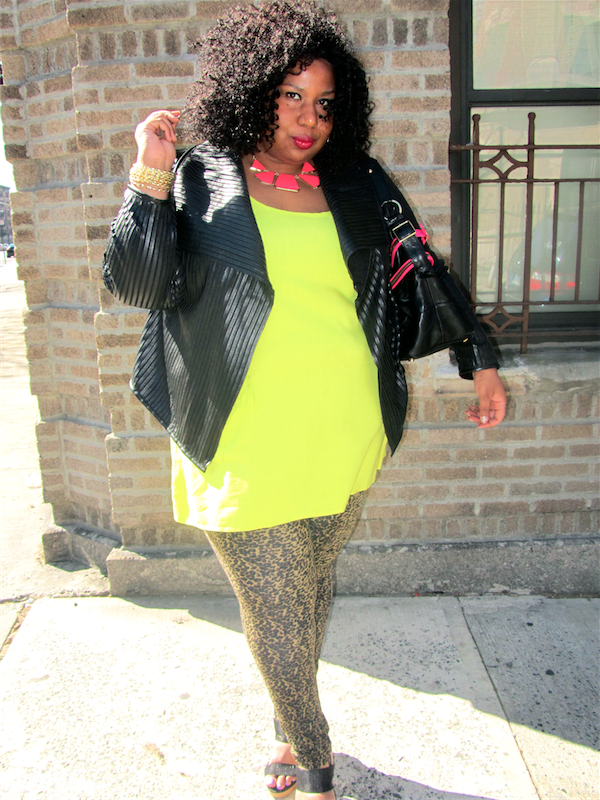 What fall/winter trends will you be holding on to?